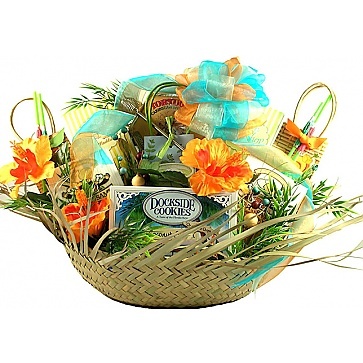 This deluxe tropical gift basket features drink mixes, gifts and snacks, all with a tropical flair, tucked inside a big straw beachcomber hat! This fantastic and festive arrangement will create quite a buzz whatever the occasion! All that's missing is the sand!